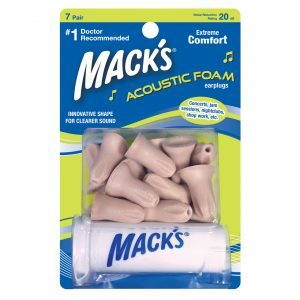 Macks Slimfit Soft Foam Ear Plugs have been specifically designed for people with smaller or more sensitive ear canals. 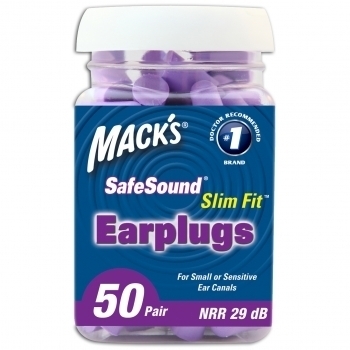 Mack’s SafeSound Slim Fit Soft Foam Earplugs are the perfect solution for those with small ear canals. Highly recommended for children over seven, and for adults who need a smaller foam ear plug. 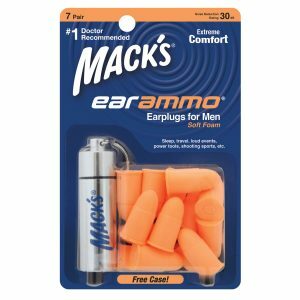 Mack’s, a well known market leader in hearing protection across the world, after listening to their customers, cleverly came up with the fantastic design of a soft foam ear plug that was tapered in shape and smaller in diameter to many of their other popular earplugs. They set out to make an ear plug that provided comfort to those with smaller ear canals, and they successfully managed to achieve just that! 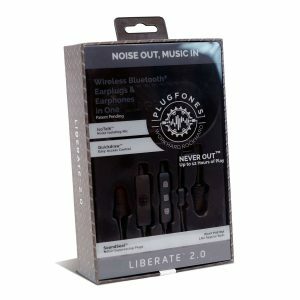 Have you ever worn earplugs in the past and loved the silence they achieve but have felt a little discomfort or pressure on the ear the next morning after waking? You, like many people, have probably been wearing an earplug that is not quite the right fit. Are Ears all the Same Size? Like all of our body parts and organs, our ears come in all shapes and sizes. In our personal experience and through feedback from our numerous wonderful customers over the years, we have found that most women typically tend to have smaller ears and smaller ear canals. Is it only Women Who Have Smaller Ears? Some women have larger ear canals and similarly some man have smaller ear canals. However, unlike feet with shoes, waists and jeans or heads and hats, we cannot really measure the size of our ear canals. 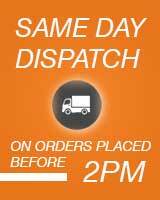 This means that sometimes you may need to try a few different types of ear plugs before you find the right match for you to provide you the ultimate in comfort and sound blocking. Our Slim Fit size earplugs are the same as the original SafeSound®, but smaller. 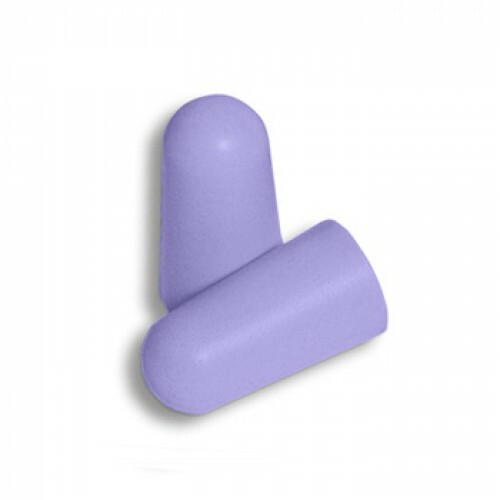 Made with super soft foam, these earplugs are perfect for extended use where comfort is paramount. Our Slim Fit size earplugs are the same as our super popular Original Soft Foam Earplugs, but smaller. 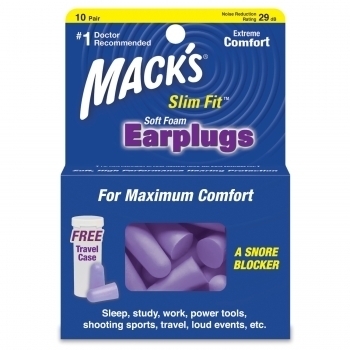 Mack’s Slim Fit Soft Foam Earplugs are the perfect solution for those with smaller ear canals. I love these earplugs and wont use any others now. I have tried different earplugs in the past but none seem to be as soft and comfortable as the slim fits. 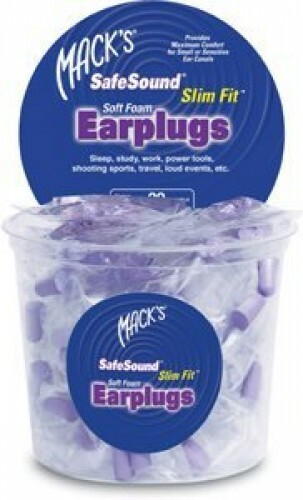 I used to think that earplugs were all the same until I tried these. Thankyou! These are perfect for my small ear canals. They fit snugly and comfortably in my ears. Other ear plugs I’ve used seem to poke out of my ears and don’t fit well like these. They really do block all noise (snoring included) and are comfortable enough to sleep with. I tried a small pack of the plugs first then ordered the 100pack. Great value. I still haven’t slept a night where both plugs stay in all night but hoping I can get that right with a bit more practice. These earplugs are so easy to insert, feel comfortable when in and work quite well……the only thing that would make them perfect is a higher DB rating but they are great for everyday use or should I say every night use so I can sleep soundly !! These are the most comfortable ear plugs on the market. I try a lot but they always hurt my ears and they ache. These don’t because they are slimmer fitting. They still block out noise but you don’t feel your wearing them. They are also soft & don’t irritate the inside of the ear. Wish I had these when I went to a recent concert. The noise was horrendous but now I have these in my handbag I can go anywhere and not suffer from excess noise. Lovely and soft and easy fitting! Big plugs are such a hassle to put in but these go in really easy, I’m glad I found them they are great quality too!